I am at school for the first official day of classes. I did my best to plan given my brief instructions; show up, let people see you, then go home. I wonder if celebrities feel this way when they attend big events. Their cars pull up and they grace the red carpet with their presence. Pictures are taken, event owners are given street credit, and the celebrity waltzes through the building and secretly out the back to a waiting car. For me there is no waiting car. There is no red carpet. I wake up early, cross my fingers for running water, drink some coffee, get dressed in yesterday’s clothes and last week’s socks, and then ride a rickety elevator nine floors down to avoid any cockroaches in the stairwell. Cockroaches gross me out. I’m not afraid of them, they aren’t aggressive or poisonous in anyway, but they bring with them an association that I am forced to live with since we share a living space. Once outside I walk along the cracked cement littered with broken glass and pockets of mud. When they clean the streets here they don’t actually clean, no, what they really do is spread the dirt around with a wicker broom until it becomes invisible. Then it rains and all of the dirt suddenly turns to mud. Getting to school, much like getting out of bed, is an uphill struggle. There are good days of teaching in Ukraine. Great days even, but I haven’t had one since July. I should probably take a moment to explain how the education system works here. The Ukrainian school system is a lot like a circus show performed by amateurs. Every classroom is held in a specialized arena with a large safety-net in place to prevent any child from falling away. There is no way to fail here, none. If a student receives poor grades, doesn’t do their homework, mouths off to the teacher or decides to play on their phone in class they will surely get yelled at; but, in Ukraine, no matter how a child does in school, good or bad, they will be advanced to the next level. There is absolutely no incentive to work hard or to abide by the rules. School is essentially a daycare and at the end of the year Ukraine gets to boast a 100% graduation record. 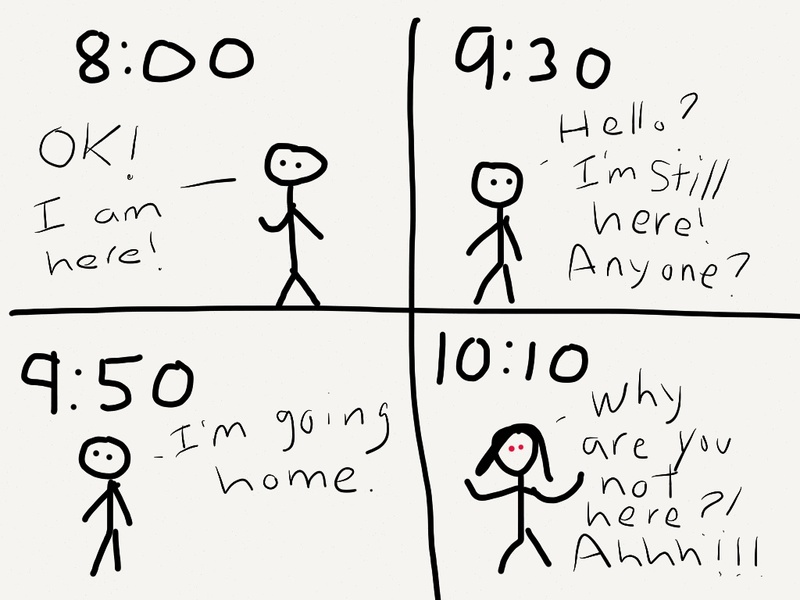 I arrived at school at eight, thirty minutes before I needed to be there. I took my seat at my desk and once again there were items stacked up on my two feet of desk space. I turned in my chair and said hello to some of the teachers. They said a quick hello back and then focused on their previous conversations or the papers in front of them. I wanted to look busy but I had only brought my iPhone with me. I turned it on and wrote the first half of this blog entry. Time passed, the school bell rang, and soon I was alone in the room. I looked over my mission objective for the day; show up, let people see you, then go home. I got up and walked slowly out of the building and across the train yard to the bus station to get home. I’ve been told many times that everyone can see me when I walk to the bus station because all the windows in the building face that direction. It makes walking over the railroad tracks tricky because I always worry I am going to trip and fall. I got home and took off my pants. For me this is the clearest way to state that I am home and free. An hour later I received a phone call from my counterpart. ‘Hello how are you?’ She asked. ‘Good. Good. I’m fine. Yeah, how are you?’ I don’t know why but I always answer her like this. ‘You already came in today? What about classes?’ She asked angrily. Tomorrow I get to post my first day back in the classroom. It should also be the day when I bring up the issues regarding teaching the entire staff English, the journalism elective I got rid of in exchange for drama that is now back on the table, and my overall dislike of not being kept in the loop at all. 2013/09/02 in UA, Writing Prompts.